Visit from The Lord Mayor of Liverpool! 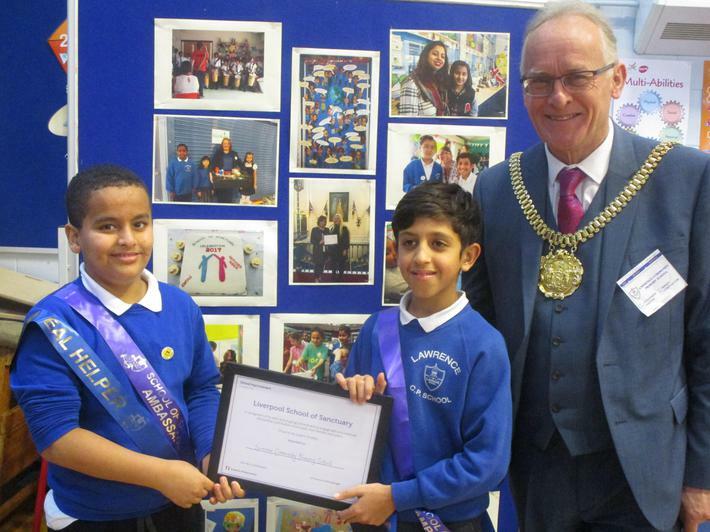 The Lord Mayor of Liverpool visited our school to see our E.A.L. (English as an Additional Language) provision in addition to our excellent School of Sanctuary practice. 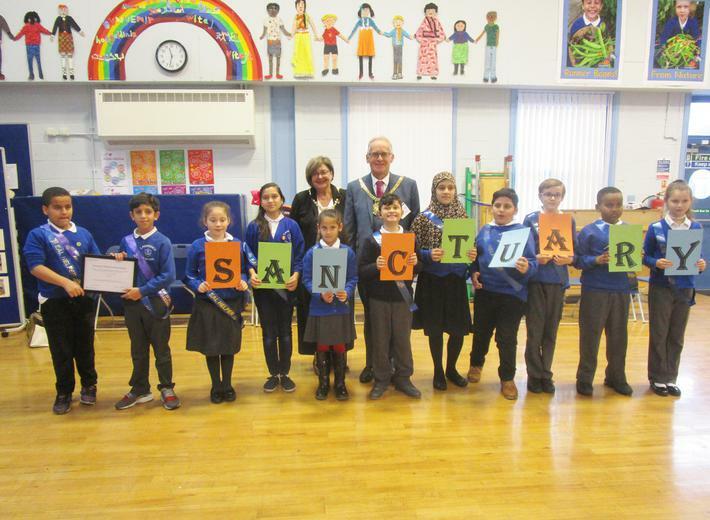 He presented us with our School of Sanctuary award! We were all very pleased and proud!